Hehehehe! 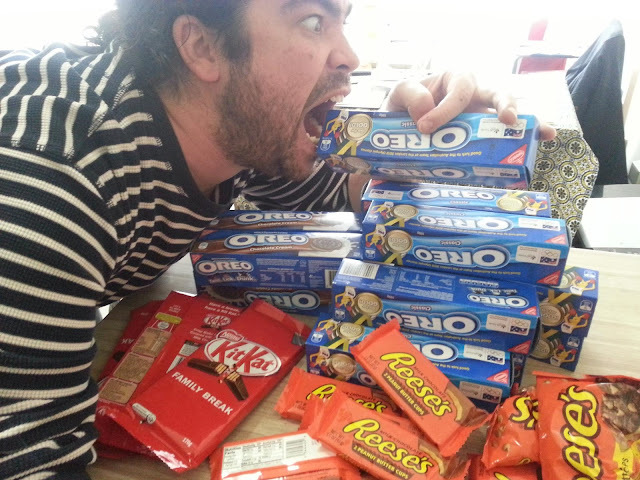 Check out our fearless leader Ben Hutcho at Squishface Studios posing with the supplies I will be using to make oreo milkshakes and a brownie peanut butter stack and a chocolate and peanut butter trifle. This is all for Exhibitchin coming this Saturday! Please click on this link or the picture link above to check out a youtube clip of some of our preparations!